We are heading to the hotel using the address given and we arrived at residential area. We call to confirm as we got confused and the counter said the inn is nearby mahkota parade. 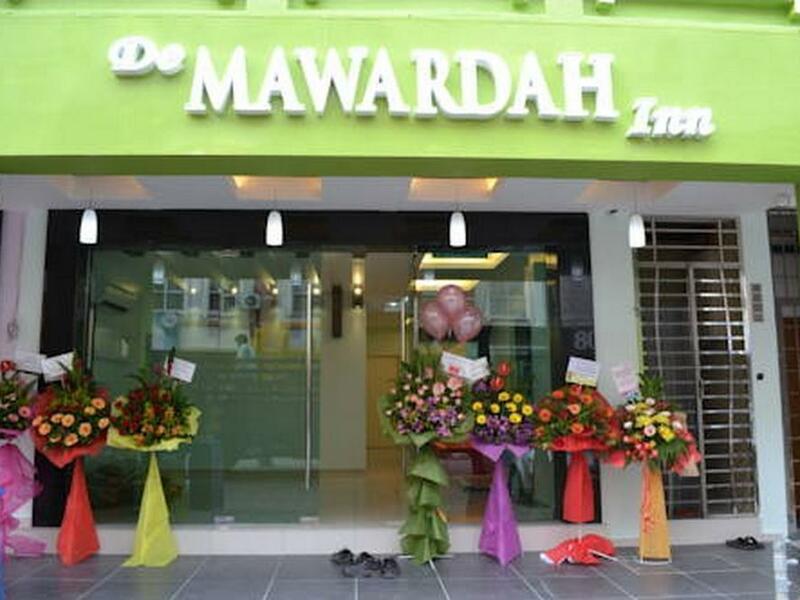 We search the address and found de mawardah hotel. We went there using uber thinking this is the right hotel as looking at the map, it is nearby mahkota parade. Once reached, the staff said we are in the wrong place and to reach the inn, we have to cross and walk a bit. IT IS SO FRUSTRATING having to go here and there plus the staff of mawardah hotel is just rude while telling us the direction to the right place. We finally reached the inn and what a surprise, the staff here is also unprofessional. I guess Mawardah brand like to hire incompetent people. The room is big and there's no elevator but the worst part is we are battling with mosquitoes during our sleep. While location is strategic and room is spacious, I don't think I'll comeback though it is affordable. 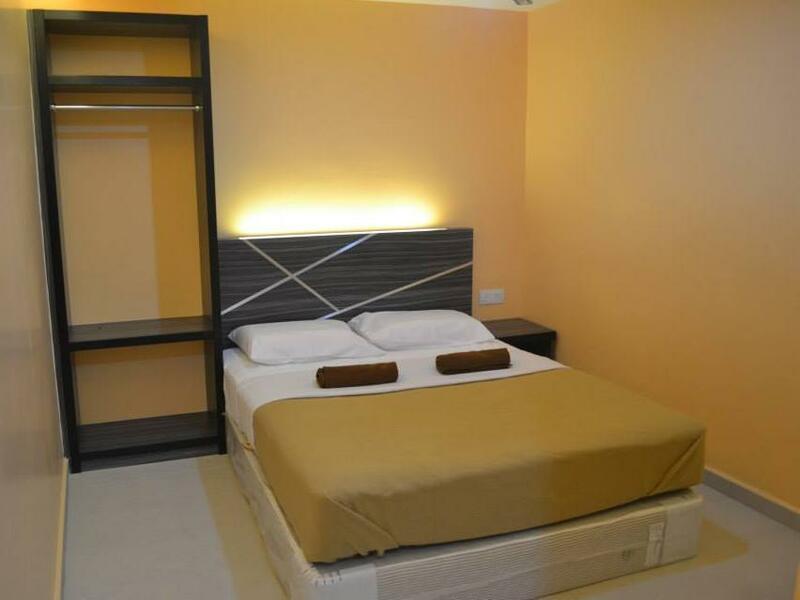 Place is close to center of attractions and 5 mins walk to nearby malls. Check in was rather sloppy and the staff looked unfriendly without talking much, asking us to fill in a booklet with our details on our own for check-in. No verification required! Room was neat but lacked things like shampoo, toiletries and we have to ask for it. Air-con was weak and took a long time to cool down the entire room. There was electricity cut off on the 2nd day from 10am till afternoon and the staff didn't even know what happened. The only good thing is the location and nothing much more to rave about. Very near to mahkota and areas of interest. Wont recommend hotel breakfast but lotsa coffeehouses around. If staying with elder people, do ask for lower levels, no lifts available. Can be a lil noisy at night with streets hustle and bustle... but tats cool. LOcation, Staff performance and comfort. Pleasant stay, worth the money. 10mins walk away from Jonkers or mahkota. In a shop house lot, so parking can be quite tricky during weekends but possible.Staffs are quick in check in and out. Lots of eating places around. Clean bathrooms, relatively new hotel. 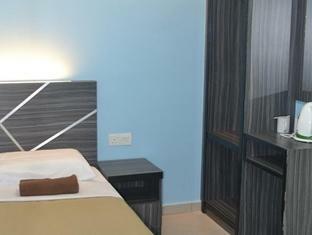 Location near to Menara Taming Sari, Jonker Walk, River Cruise & Red Buildings. 1.Quite new furnishing. Hotel just 1 year old. 2. Each floor have wifi5 setting. Strong connection. 3. 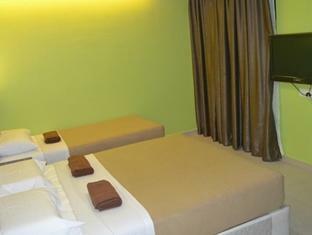 Family room spacious for 4 peoples.Unlike other hotels same rate but room too small. Very comfortable and convenince eventhought at 3rd floor. Strong recommended and for sure will come back in future. Good serviceand attentive. Big and clean room. Comfortable. i booked this hotel due to it was a business trip so the budget was little.but i woriied about where to park my car and when i filter own car park they were in the listed that they have own car park.but when i was there i asked where is the car park the reception just said outside everyehre also can park,i asked i thought you listed you have private car park,she said we only have public car park. i'll never stay there again.